Shut down apps that are gobbling up your data. Google’s newest Android app might be its most useful of all. It’s called Datally, and it has one function: to stop apps from gobbling up your precious gigabytes of data. The simple, intuitive app is designed to help you get a handle on your mobile data usage and stop rogue apps from surreptitiously using it up. So, if you get a message from your carrier about using an abnormal amount of data, you can use Datally to pinpoint the app that’s doing the most damage and shut it down. Data trackers have been built into Android for a while, but Datally makes it drop-dead easy to use them. There’s nothing necessarily new in Datally—data trackers have been built into Android for a while—but never has it been presented in such a user-friendly way. 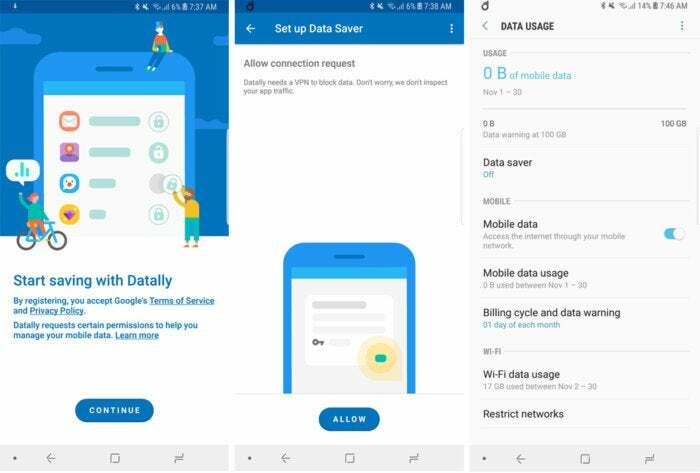 Many Android users don’t know to venture deep into the Settings app to see their mobile usage, so Datally pulls those features out of Settings > Network & Internet > Mobile network, and presents it in an easy-to-understand way. 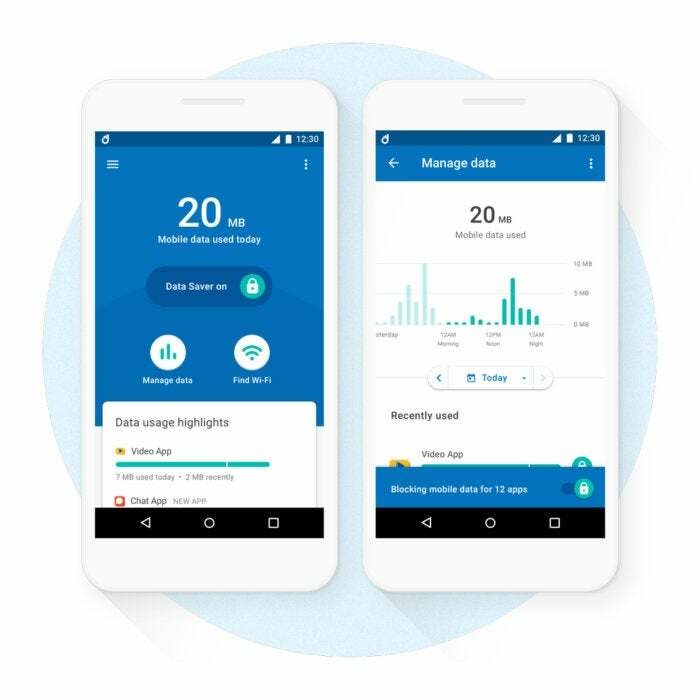 After a brief setup, where you’ll need to allow Datally access to a VPN in order for it to work, you’ll be taken to a screen that clearly shows how much data you’ve used today. From there, you can dial into your weekly or monthly usage (via the manage data button), set up threshold alerts, and control which apps have access to your mobile data. There’s also a Data Saver kill switch that will shut down all mobile data at a tap. But the coolest feature might be its Wi-Fi tracker. Tap the “Find Wi-Fi” button and Datally will retrieve a list of nearby places that offer public Wi-Fi networks. You can even get directions via Maps and rate the quality to help other users in the area. Google says it has been testing Datally in the Philppines over the past few months and it has saved people up to 30 percent in their data. The app is available in the Play Store for phones running Android 5.0 and above. Why this matters: Whether you’re bumping up against monthly caps or trying to stop your carrier from throttling your speeds, we all need to be mindful of how much data we’re consuming. A rogue app or two could make a huge difference. And it’s not just data—Datally could save your phone’s battery life, too, by identifying apps that are doing too much when you’re not using them. Datally is such a simple, useful tool that I wouldn’t be surprised to see Google bundle it into Android P, whether as a standalone app or a settings menu. As a part-time iPhone user, I’d love to see it show up in the App Store one day too (but I'm not holding my breath).